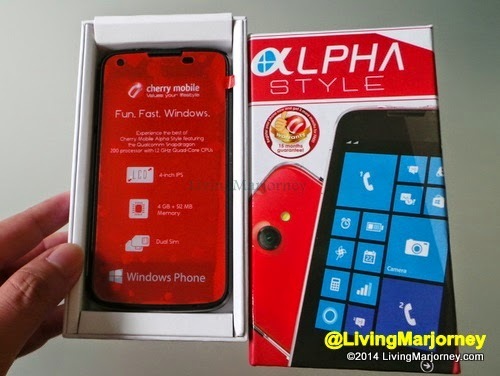 I received a Cherry Mobile Style, one of the two new smartphones from the Alpha Style Series. Style was first introduced followed by the Cherry Mobile Luxe during the recent Cherry Mobile event held at Sofitel Philippine Plaza a couple of weeks ago. 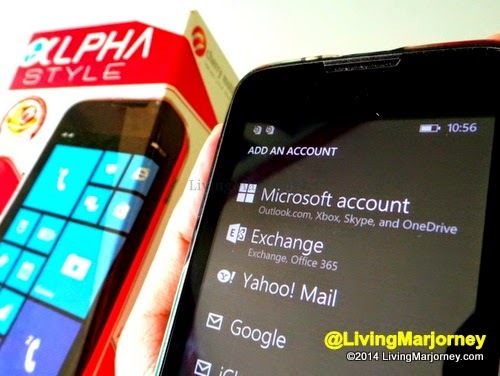 Both series' smartphones (Style and Luxe) are equipped with the Windows Phone 8.1 operating system and available at a very low priced at P 2,999 and P 4,999 respectively. 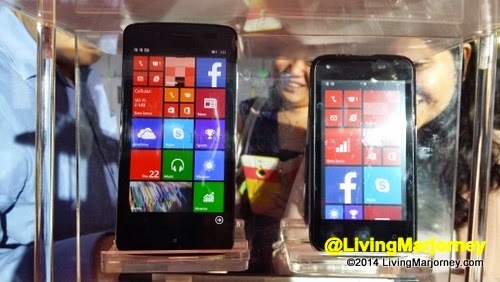 They both run on 1.2 gigahertz Qualcomm Snapdragon quad-core processors and Adreno 305 graphics. 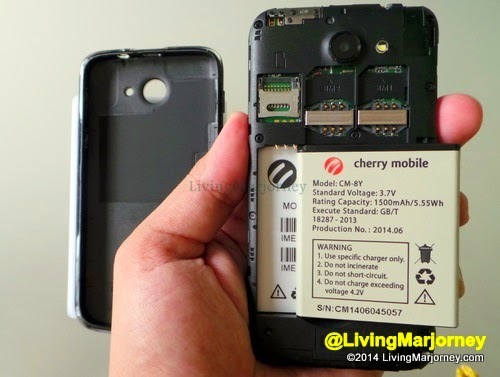 #CherryMobileStyle just fits my hand and so it's easy to hold and use. 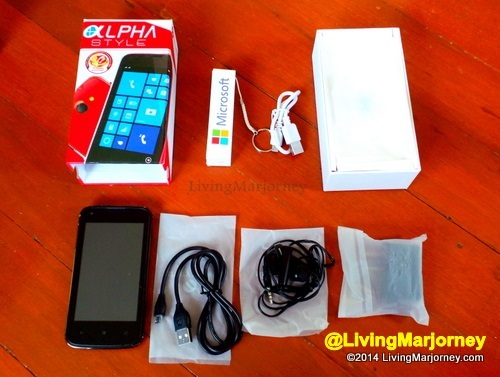 It's available in black color and the box comes with one (1) battery pack, headset and a cable. 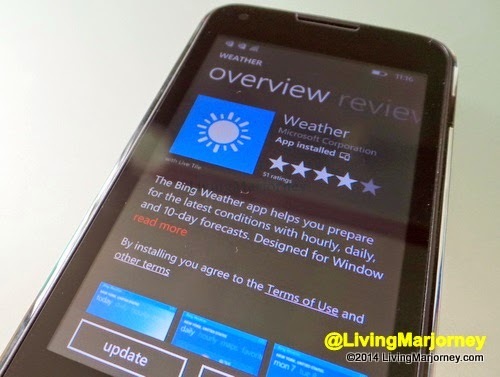 I was ecstatic to try it and start browsing because it was my first Windows phone. 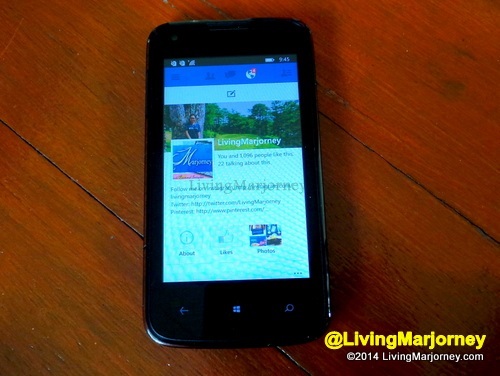 Monitoring social media networks (@LivingMarjorney) via my new Cherry Mobile Alpha Style Windows phone. 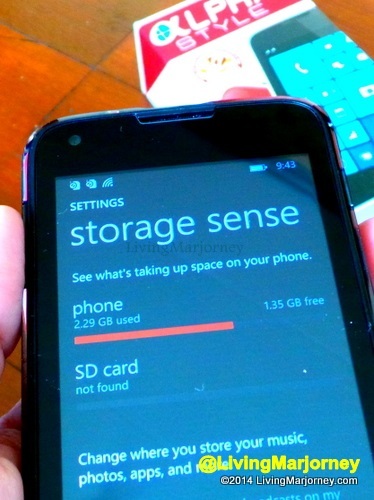 The screen responds to touches quickly but I'm afraid if the 512 megabytes RAM would be enough for heavy users like me, opening several apps at the same time. 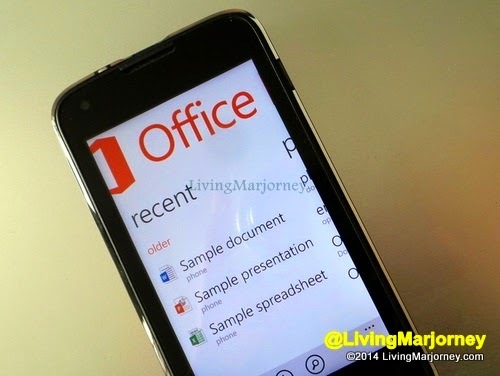 For a week, I tried the Cherry Mobile Style and find it good as a new Windows Phone platform user. 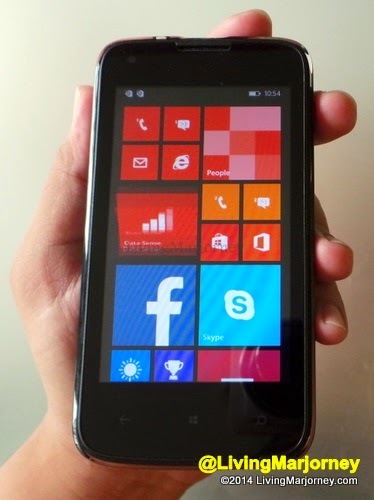 It has 4-inch 800×480 IPS screen, 4G of memory, and 512 megabytes RAM. The Qualcomm Snapdragon processor features industry-leading 3G connectivity, enabling high-quality voice calls and support for dual SIMs for ease of switching networks. 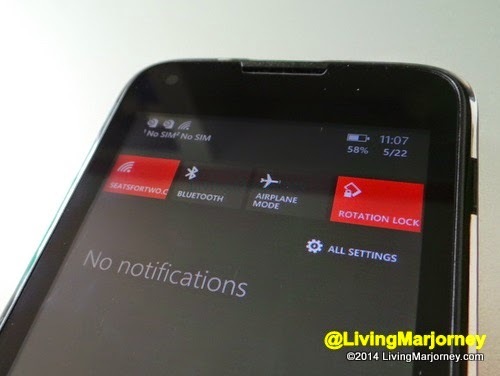 My #Style is now my Sun Cellular phone which is being used for contacting hubby. 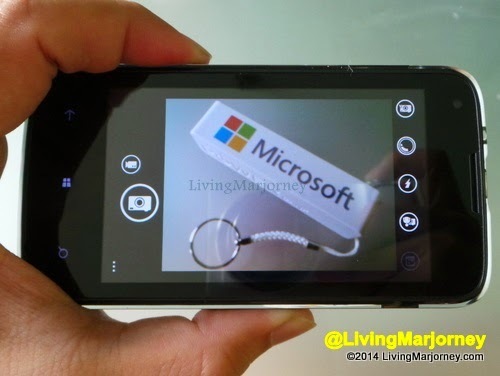 For less than three thousand pesos, I got a 5MP rear, 0.3MP front-facing camera Windows phone. 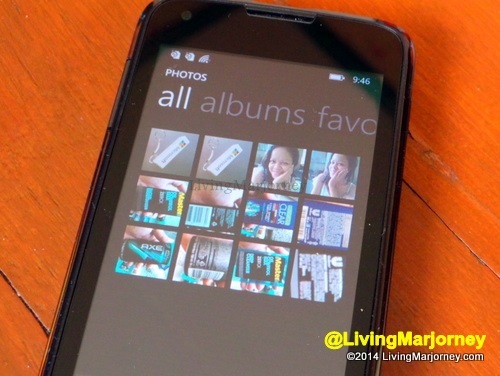 It quickly takes a shot but don't expect or compare it with a colorful, vivid and crisp photos taken with a 15 MP camera. 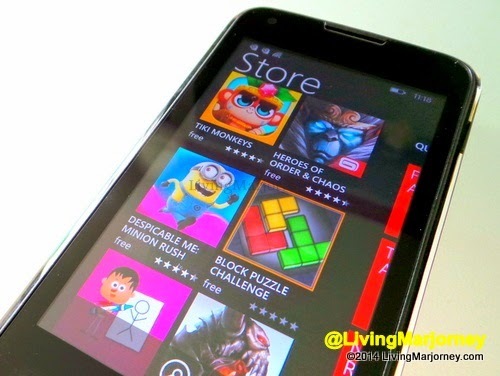 For game savvy, you can also download your favorite games such as Despicable Me Minion Rush and Tiki Monkeys for free. 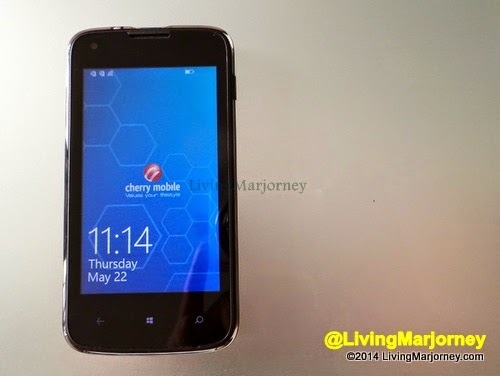 So, if you want to take a break from your Android phone, #CherryMobileStyle is a pretty nice Windows smartphone for people on the go who wants basic Windows phone with camera. 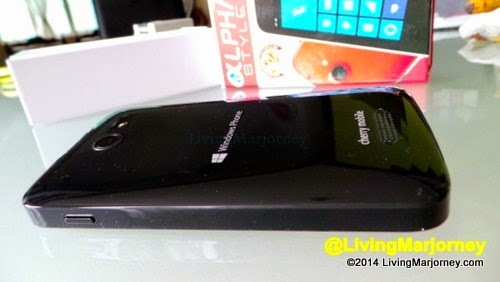 Cherry Mobile Style and Luxe are now available in the market and are said to be the most affordable Windows phone at the moment. The event also highlights the announcement of their newest brand ambassador, Kim Chiu. 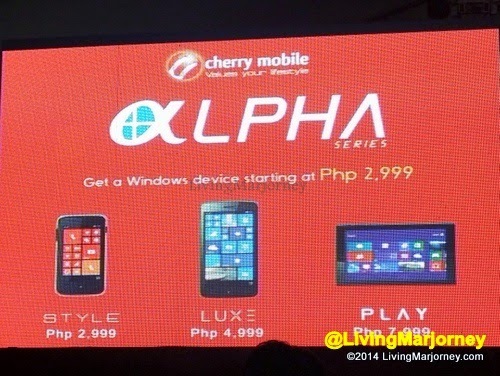 Along with the Alpha Series, Cherry Mobile Morph Tablet was also introduced. Retails at Php 11,999, Morph it has a 32G of on-board memory, and 2G RAM and 10-inch high-definition IPS screen. 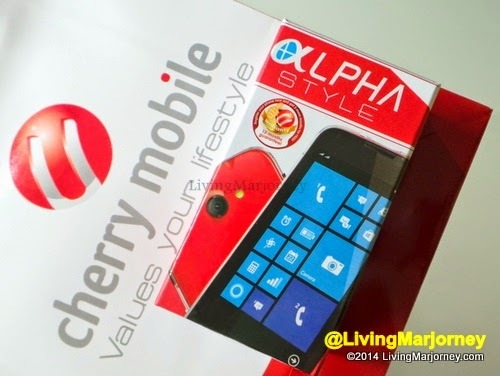 So, which of the new Cherry Mobile gadgets are you eyeing now? 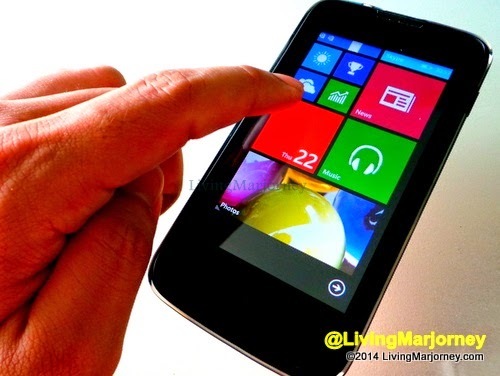 Is it the Cherry Mobile Style, Luxe or the Play and Morph tablet. Hi, is the front cam good for skype? I know you cant expect anything on vga cam but is it tolerable? 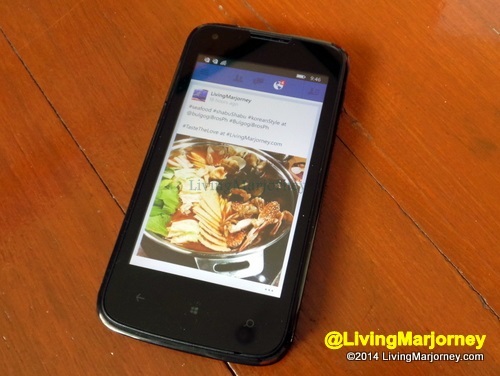 could you please show photo & video samples by this phone, both in good light & low light conditions? 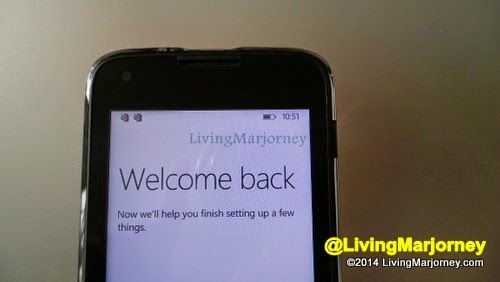 also, how is the overall build quality coz it is a fact that CM phones usually have SUSPECT quality.